Internal and external audits, supplier, customer and quality assurance audits can now be conveniently planned in your SharePoint with the Audit Management Add-on for QUAM, recording findings and directly triggering derived actions. Current quality management guidelines have been taken into account in the design of the standardized workflow. 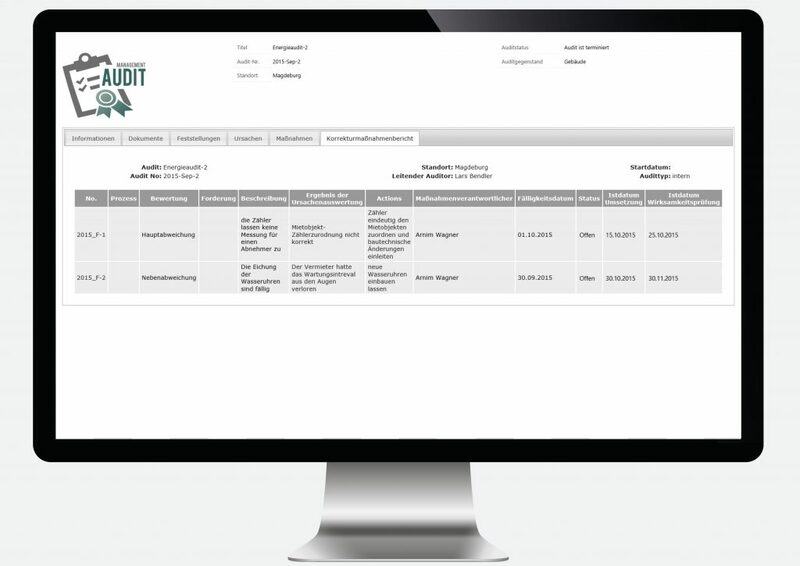 Audit management for Quam was designed to support auditors in their daily work. Capture audit needs directly in SharePoint and plan the various audits, whether internal or external, in parallel in audit program planning. This allows you to keep track of necessary resources and schedule your audits. Audit planning is completed in just a few steps. In addition to target definition and time planning, you can search for the auditors required for the audit based on their qualifications and include them directly in the process. Create new question catalogs or select a suitable one from the existing question catalogs. This saves you valuable time in the detailed planning of the audit. 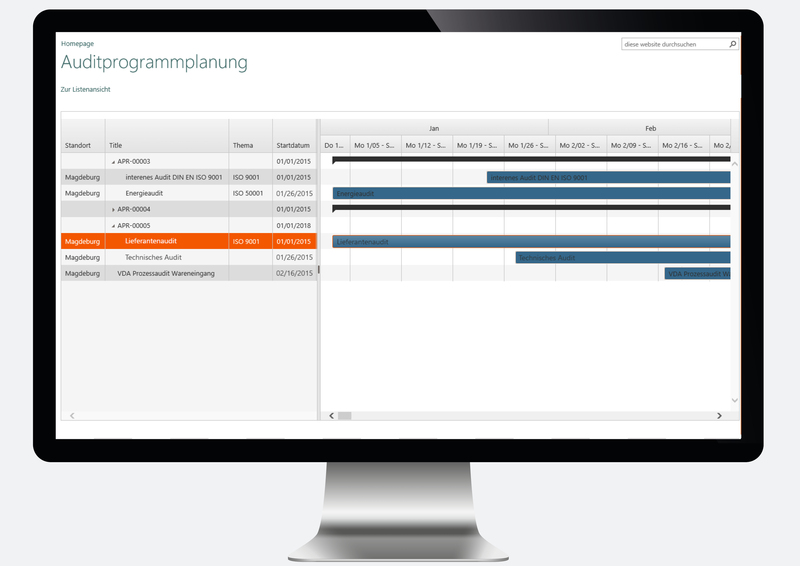 Tasks can be assigned directly to the auditors. 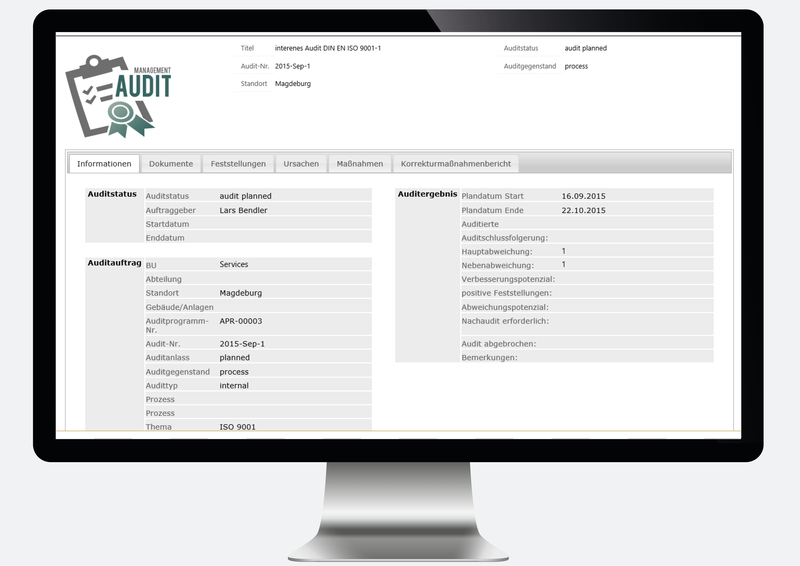 The auditors are then informed by e-mail and see the tasks assigned to them, including the processing status, directly in the system. All relevant documents are collected in the audit room as well as any deviations detected during the audit. The findings can be linked to causes and measures for follow-up. The findings can be evaluated and classified according to various criteria. In addition to preparing the test report, preventive and improvement measures are directly initiated and necessary follow-up audits are planned. 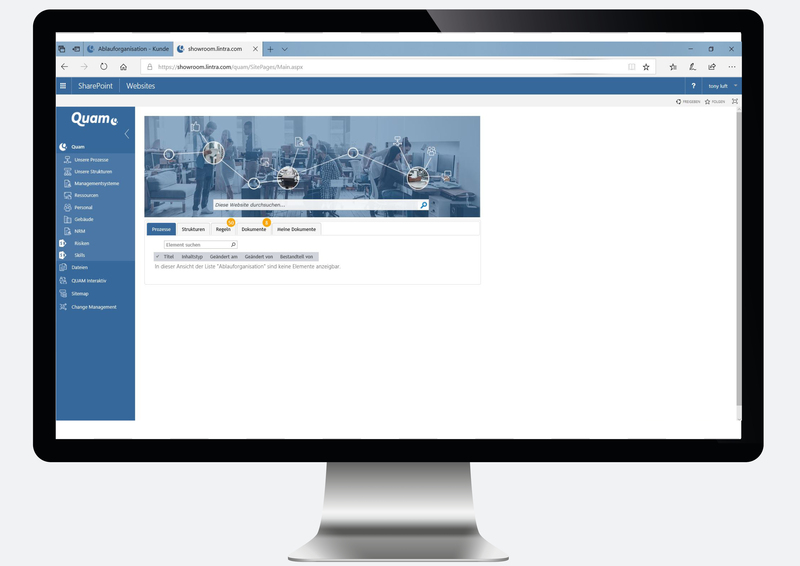 Especially in connection with QUAM, the app for organizational management based on SharePoint, you have a flexible and comprehensive tool for quality management within the continuous improvement process at your side. For the organization of all processes we recommend Quam. Quam analyzes the organization and logically links elements of the organizational structure and process organization via a defined process. Process maps, organizational charts, role, function and organizational views are available to all employees at any time – whether as a hybrid solution or directly in the Microsoft Azure. This SharePoint app raises your organization to level 4.0. We look forward to getting to know you personally soon.